Adam Smith, author of The Wealth of Nations, was no dry pedant. 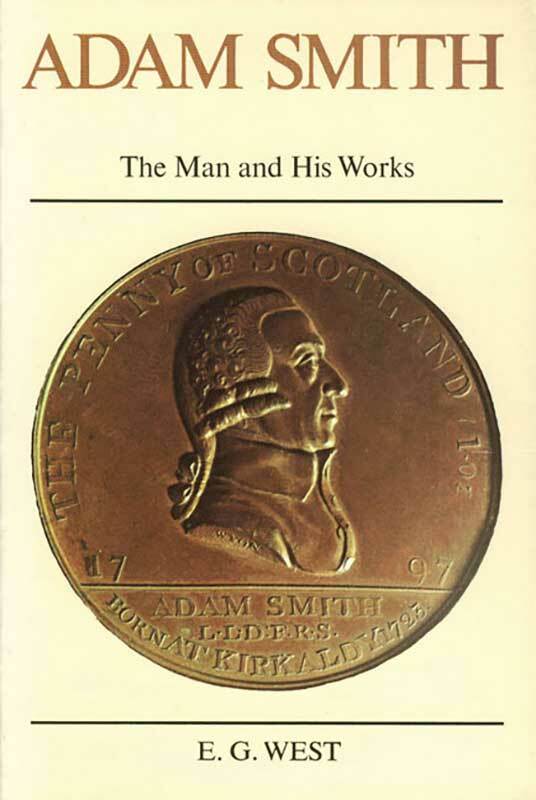 His lectures and writings are alive with examples taken from the busy eighteenth-century world around him, and Edmund Burke praised his literary style as “rather painting than writing.” It was Adam Smith who taught moral philosophy and literary criticism to Boswell at the University of Glasgow, and in Smith’s works we follow his interests from political history to law, sociology, economic and social history, philosophy, and English literature. E. G. West brings to life Adam Smith’s first years in the bustling Scottish seaport of Kirkcaldy (and recounts Smith’s brief kidnapping, as a baby, by gypsies). We follow young Smith as a student, watch his thought develop as Professor of Moral Philosophy at Glasgow, and enjoy with him the hospitality of David Hume, the Parisian literary salons, Johnson, Burke, Gibbon, and other giants of the era. West gives us a masterful summary of The Wealth of Nations. Even more significant, West restores to eminence an earlier work of Smith’s, The Theory of Moral Sentiments. “If The Wealth of Nations had never been written,” he asserts, “this previous work would have earned for him a prominent place in intellectual history.” West takes particular delight in using The Theory of Moral Sentiments to rebut Marx’s assumptions about laissez-faire capitalism. E. G. West was educated at the University College of Exeter, graduating in economics in 1948. He has taught at several British colleges and at Carleton University in Ottawa, and has been a visiting research scholar at the University of Chicago and the University of California at Berkeley and a visiting professor at the Center for Study of Public Choice, Virginia Polytechnic Institute and State University. Dr. West authored several books including Education and the State and Education and the Industrial Revolution. His articles have appeared in numerous periodicals and scholarly journals.